DSAF 2018 goes with the nature of being introspective with a contemplative eye. 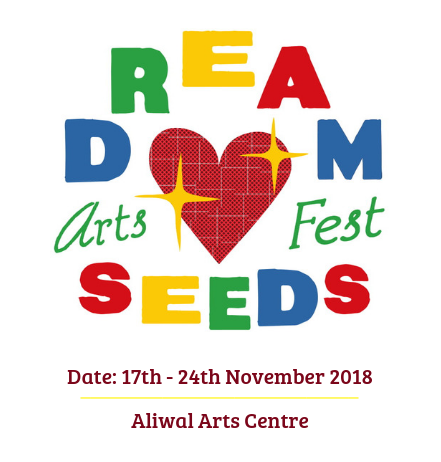 The annual Dreamseeds Arts Fest(DSAF) presented by Club Rainbow (Singapore) (CRS), will take place on 17th November for a week-long of programmes till 24th November 2018 this year at the Aliwal Arts Centre. The DSAF is a platform which offers our beneficiaries an opportunity to showcase their artistic imagination and creativity. The beneficiaries will put on performances and have their art works on display both solo and constellation of many art pieces brought together in harmony at the exhibition. This event is for families, art enthusiasts and collectors. Felicia Lee from Programmes Development (PD) highlighted, ‘DSAF 2018 will take a more introspective and grounded, with works exploring themes of self-identity, personal memories and etc.’ The team also shared some insights of what will be happening at DSAF 2018, visitors to the event can expect to see more creative workshops through corporate and programme partners. Music Mentorship Programme (MMP) in collaboration with Thunder Rock School returns in line with DSAF 2018 where a group of CRS beneficiaries forms a multi-instrument band, together with their music mentors for a performance. Don’t miss the scene this November! 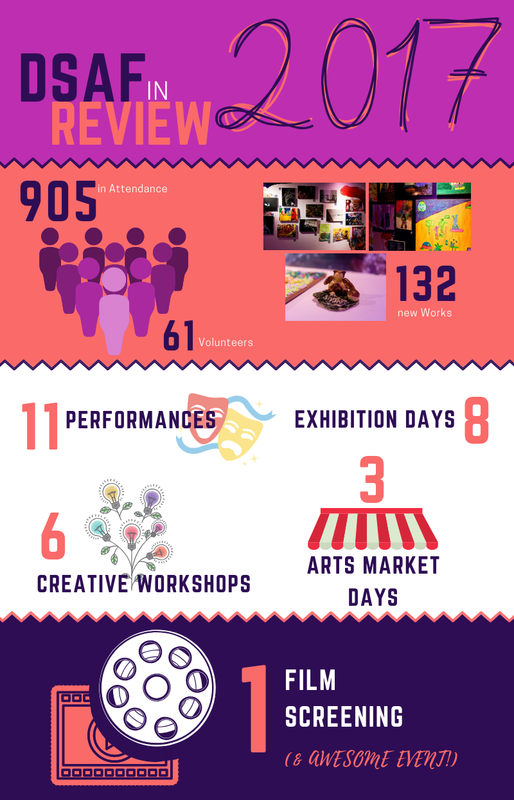 Last year, DSAF displayed about 132 new art works and attracted slightly over 900 visitors over the 8 days. Follow DSAF 2018 on our Facebook and Instagram for updates and pictures of past events!